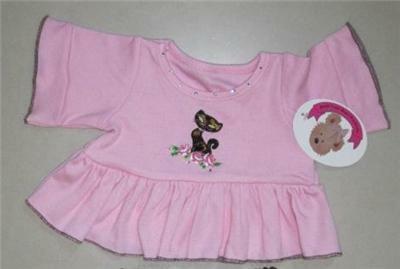 Teddy bear clothes, teddy bear girl Tops fit girl build a bears factory teddies.. Probably the best selection of Teddy bear clothes you have seen! Compatible fit for 14-16" build a bear and many more popular brands. 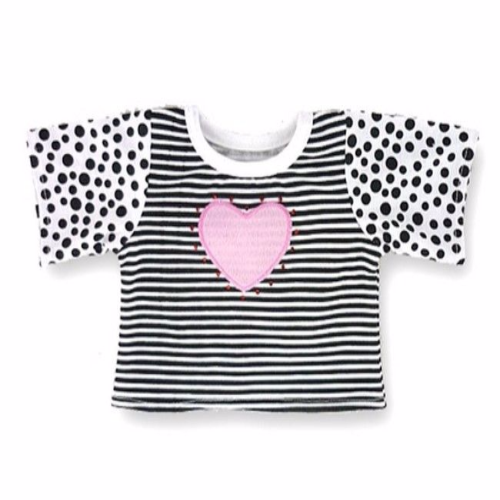 Teddy bear clothes Angel T-shirt top to fit build a bear teddies.Teddy bear clothes a compatible fit for Build a Bear, Argos Design a Bear and many more teddies of a similar shape and size. Teddy bear clothes Christmas T-shirt.. A compatible fit for Build a Bear, Argos Design a Bear and many more teddies of a similar shape and size. Blue hooded top teddy bear clothes outfit. A compatible fit for Build a Bear, Argos Design a Bear and many more teddies of a similar shape and size. Purple bear t-shirt top teddy bear clothes outfit. A compatible fit for Build a Bear, Argos Design a Bear and many more teddies of a similar shape and size. This white T-shirt has a colourful butterfly graphic that's features shimmering gem stones on the wings. A compatible fit for Build a Bear, Argos Design a Bear and many more teddies of a similar shape and size. Army camo t-shirt top teddy bear clothes, just add jeans to complete an outfit. A compatible fit for Build a Bear, Argos Design a Bear and many more teddies of a similar shape and size.